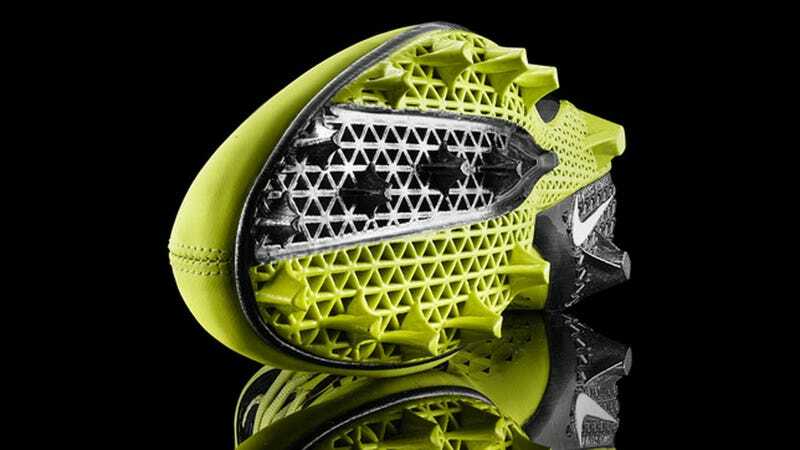 It shouldn't come as a surprise that 3D printers are helping shoe manufacturers accelerate the prototyping of new shoes. But just how big is that impact? The Financial Times reports that both Nike and Adidas are embracing the semi-new technology and churning out prototypes at "previously impossible" speeds. Kohatsu went on to say that Nike would typically change out stud configurations, a relatively complex part, "every couple of years."